When you Google the product or service your company offers, do you see it on the first page of results? If you don’t have a firm grasp of search engine optimization (SEO) and Google AdWords, odds are the answer is no. SEO is the process of how to rank higher on search engines and – more importantly – attract consumers. 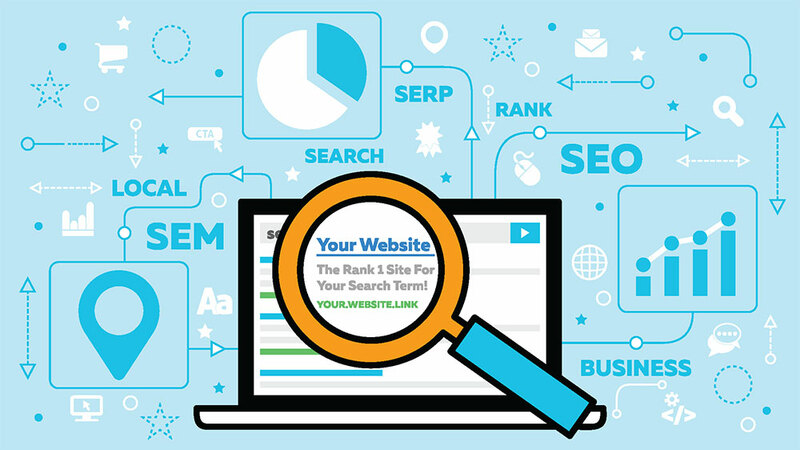 The most important strategy for boosting your search result ranking is SEO, which encompasses a site’s technical and creative elements, instructing site managers how to improve rankings. SEO tailors a site to meet the requirements of the web’s leading search engines – Google, Yahoo, and Bing. A common confusion during website design is the difference between search engine optimization and Google AdWords. Website managers use them together, but they are distinct. SEO is digital marketing that helps your website rank higher in search engine results, which is called Organic Search Results. AdWords is a Google-created advertising platform that helps company advertisements rank at the top of the search results page. Using both SEO and AdWords helps your website make the first page of Google results when users search for identical or similar terms. Best practice for the highest rankings is to use SEO and AdWords together. Your site should rank in top positions during organic searches, as well as target users who aren’t familiar with your brand. These tools ensure your target audience sees your brand regardless of the exact search terms they use. The Google AdWords Keyword Planner is an excellent place to engaging with keywords. Discover current keyword trends in your niche and create a plan for adding them to your site. Use keywords in your title tag, meta description, page title, text, domain name, and links, if possible, but don’t overdo it – overuse of keywords reflects poorly in search engine results. Once you’ve optimized your site for search engines, test it. Check your site’s performance to stay on top of ever-changing Google SEO algorithms, best practices, and design trends. The best way to measure your site’s performance is to work with digital media experts.